Currently smashing records on Pay Per View, the Ultimate Fighting Championships are the hottest "new" sport in the world. Of course, it really is not new as the Ultimate Fighting Championships originally debuted in November of 1993 in a very different form. The original UFC was a no holds barred competition that essentially only banned throat strikes and eye gouges and a few other techniques. I thought it was crazy and the fights were brutal. The competitors were not all athletes. Rather, they came from the martial arts landscape that was common at the time. This is to say, the Ultimate Fighting Championships was little more than a challenge match exhibition for traditional martial arts and a few combat sports. In the first few UFCs, Brazilian Jiu Jitsu competitor Royce Gracie forever changed the way people would look at martial arts. Gracie debuted a groundfigting system that utilized leverage to apply joint locks and chokes. I still love that Gracie could take out the big guys and he is a favorite of mine. Since very, very few people outside of Brazil were adept at submission fighting, Gracie dominated the events rather easily. Gracie did have a few tough challenges and they came in the form of a wrestler named Dan Severen and (at the time representing Japanese) shootfighting, Ken Shamrock. The traditional self-defense martial arts did not make an adequate transition to the octagon cage. Within a few short years, more and more fighters representing other athletic disciplines such as kickboxing, judo, wrestling, and Russian Sombo all made appearances in the Ultimate Fighting Championships and found success. The athletic fighters that entered into the UFC included wrestler Mark Coleman, kickboxer Maurice Smith, former amateur boxer and wrestler Don Frye, Russian Sombo expert Oleg Taktarov and a streetfighter who also wrestled in high school named Tank Abbott. All of these fighters slowly started the transformation of the event from a no holds barred fight to an athletic contest. Additionally, these fighters realized that style vs. style was not really the way to go for success. 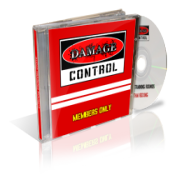 You needed to blend the various high percentage moves of the top martial arts into a coherent style that effectively worked for striking, clinching, and grappling. 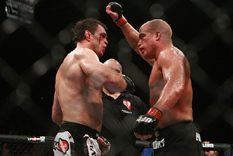 This was the evolution of mixed martial arts or as it is also known as, MMA. On the surface, people assume that MMA involves mixing and matching anything into a fighting system. 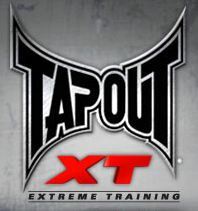 That is not entirely accurate as there are certain techniques, strategies, and training systems that are effective in the octagon and other techniques and training methods that flat out will not work. But, this does not mean you can select from a list of strategies and techniques that work and create a uniformed method of fighting. Know, there are scores of different ways you can train to develop the specific skills and traits of an individual fighter. That is why you see a lot of fighters performing the same techniques yet present completely and totally different fighting styles. As MMA started to develop, the rules started to change in order to provide a more athletic competition that would achieve greater mainstream appeal. 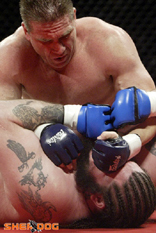 This involved anti-stalling rules, the barring of techniques such as headbutts, and kicking a downed opponent, etc. The game was changed to where knockouts, submissions, and judge's decisions were the primary way to win. The latter moved the sport closer to a boxing style approach then the earlier grappling based one. This was even more evident with the inclusion of fighter's open finger gloves which allowed for extended striking without the risk of a hand injury. Ironically, at this time, public sentiment towards the initially successful Ultimate Fighting Championships to the negative as the sport became politicized and pressure was placed on cable services not to carry the event. I remember having to rent these bouts to watch them. This lead to the universe shrinking meaning only the smallest PPV audience was able to see one of the sport's greatest all-around fighters Frank Shamrock turn back challenger after challenger for his crown. In time, the UFC started to grow in popularity again mainly because its management and ownership changed hands. Upon being purchased by Zuffa Entertainment, the sport began to be reborn thanks to a better PR campaign and reduced public pressure. The addition of an aggressive and business savvy president in Dana White was a tremendous hiring decision as his leadership proved more successful than anyone ever imagined. And, of course, MMA is a business and once cable operators were convinced MMA could be a cash cow, the sport's cable universe expanded once again. Today, it even has its own realty television series which aids in promoting its Pay Per Views which do sales in the millions. The UFC has arrived once again and it will certainly be around for many years to come. Who knows where it will evolve in the future. UFC of course is the hottest clothing. 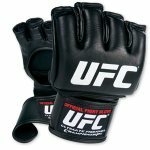 You can find UFC discounted at our Ultimate Store. And the UFC Store has even more incredible fighter and fan gear.